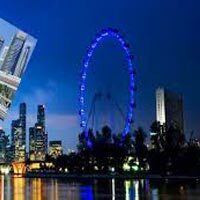 Guests would be relishing on a sumptuous breakfast first thing in the morning, following which awaits them the half day city tour of Singapore. 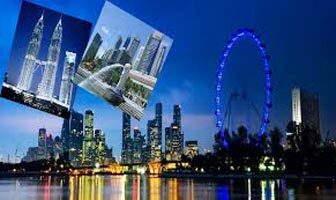 Filled with visits to a plethora of modern city attractions, Singapore half day city tour will start with the tour to Suntec City. Following it are visits to places like Merlion Photo Stop, Raffles Landing, Orchard Road, Fountain of Wealth, Little India and Chinatown. Guests would be heading for the Sentosa Twilight tour in the second half of the day. This special ride would be a one way cable ride that will also include visits to the S.E.A Aquarium, Butterfly Park and Insect Kingdom, Wings of Time and Merlion tower. The popular island resort of Sentosa offers a wide range of activities and attractions to explore. From a tropical resort, nature resort to heritage center, the island has got it all clubbed into it. Post breakfast, guests would be heading for the city tour of Kuala Lumpur. First in the schedule would be the visit to Kuala Lumpur's premier handicraft shop Karyaneka. Beautifully reflecting the ethnic and cultural heritage of Malaysia, Karyaneka offers a wide collection of souvenir items. Post visiting this, guests would be making their way to the Golden Triangle area and Independent Square right through the Chinatown area. Kuala Lumpur city tour also comprises visits to the King's Palace, the Masjid Jamek, National Monument, National Mosque, Sultan Abdul Samad Building and finally the Thean Hou Temple. Later part of the day is free to be spent at leisure. Feel free to explore the local markets of the city.